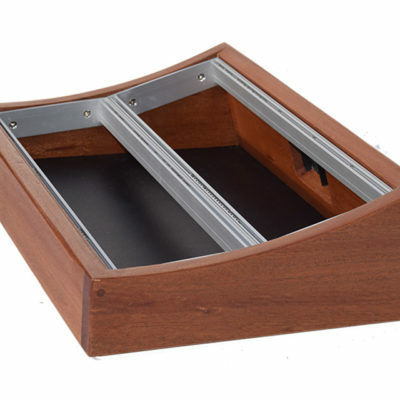 Peter, is the first Eurorack Case in the SynthRacks line and a fantastic addition to any studio; home or professional. 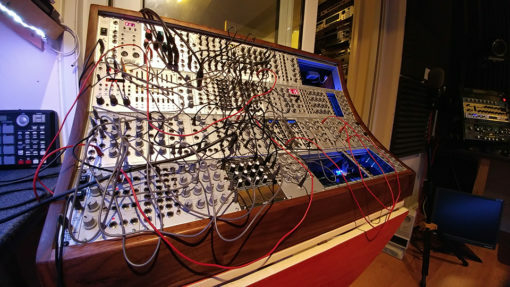 Peter, scored a 10/10 from MusicTech and has been well received within the Eurorack community. The 12U Eurorack Case is the latest addition to the SynthRacks Peter range and has adopted a slightly gentler curve on the face, whilst retaining the distinct familiar look. 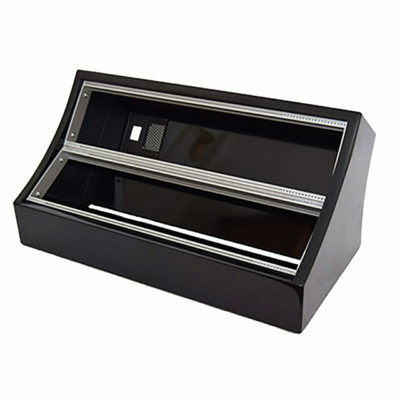 The case is available with a selection of variables to help customise the case to your needs. Including horizontal pitch, power supplies and fixing components. 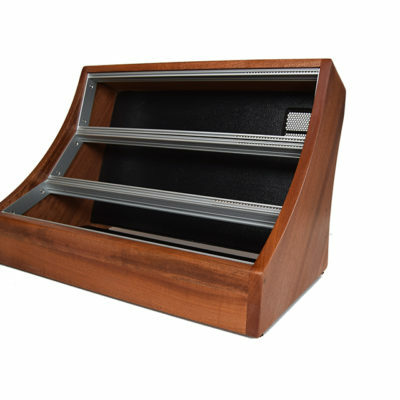 The case is largely made from solid hardwood and finished with Danish Oil for a great finish and to protect the wood. 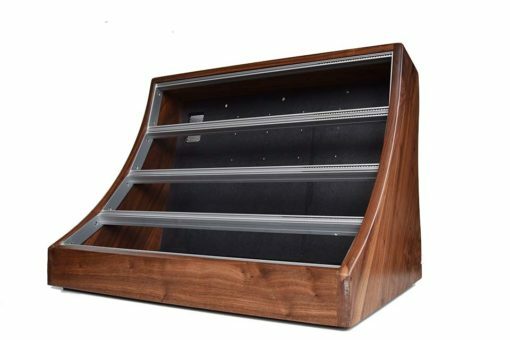 The choice of finish is Cherry, Oak, Sapele and Walnut Choice The inner panels are black, which works as a nice contrast to the hardwood finish. Depths are generous and at least 80mm and up to 130mm in places with plenty of space for power without encroaching on these depths. If you require the cases with power we are happy to install and recommend TipTop Zeuss studio system, KonstantLab BoardPWR or KonstantLab StrongPwr. Doefer PSU3 system is also worth considering as a power supply. Whilst we are happy to install the components into the case for the Doepfer PSU3 system, as it involves dealing with 110-240v you would need to arrange the wiring connections with a suitably qualified installer. 3 – 4 weeks delivery of a 12U case, as these are built to order.